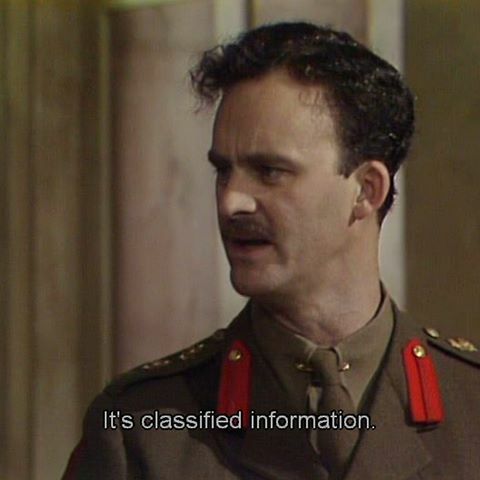 As with many of the other characters in Blackadder Goes Forth, we find out a little more about Captain Darling’s background in each episode, with the final episode of Blackadder revealing the most amount of information. For example, we discover that Captain Darling has a girlfriend called Doris, he aspired to keep wicket for the Croydon gentlemen, and he worked for a company called Pratt & Sons. We also know that he tried and failed to join the Women’s Auxiliary Balloon Corp! Captain Darling is a perfect example of a toadying underling to a person in a position of power. In this case, it is General Melchett, who for the most part treats him with disdain. 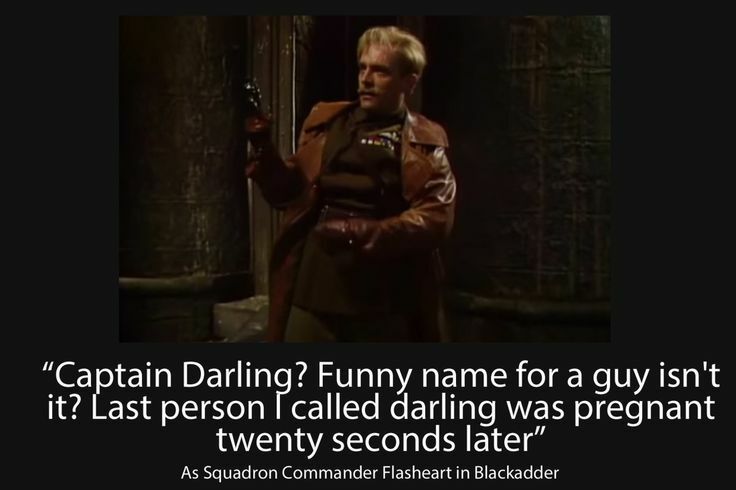 At one point, he even describes Captain Darling like a son, but not a favourite, rather a “sort of spotty, illegitimate sprog that no-one really likes”. For reasons that are never fully explained, he has a rivalry with Captain Blackadder. 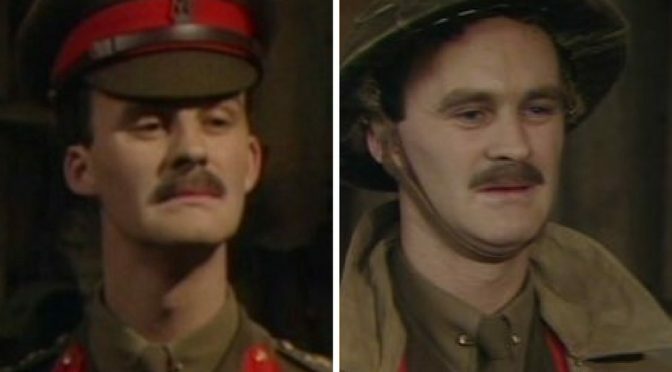 It is perhaps to do with that fact that they are both of equal rank, but whereas Captain Darling has probably pulled strings to avoid frontline duty, Blackadder is in the trenches. This has led to a jealous resentment that shows in each episode. Who wins between Blackadder and Captain Darling? This is an interesting question. 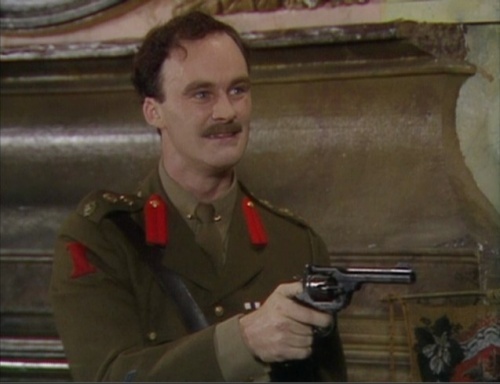 For the most part, Captain Darling seems to come out on top during their petty rivalries, but Blackadder always seems to get some sort of petty revenge. The most famous being when he asks Baldrick to make Captain Darling a cup of coffee! 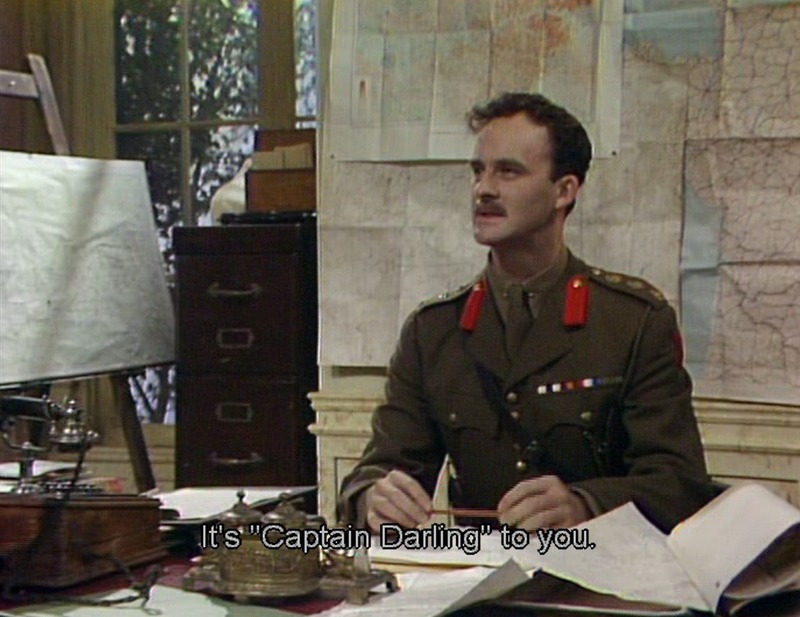 Here’s a look at some of our favourite scenes featuring Captain Darling from Blackadder. We hope you like them too! Possibly his greatest line from Blackadder though is simply when he makes a note in his diary on the way to the frontlines.